Sauté bell pepper, onion, garlic, jalapeño, oregano, and cumin for 5 minutes or until vegetables are tender. 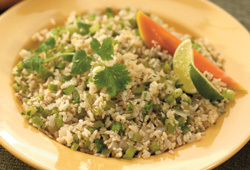 Stir in cooked rice, lime juice, green onions and cilantro ... the perfect spicy side-dish!! Mahatma® is the number one selling rice brand in the U.S.
Mahatma whole grain brown rice, regular white rice, Mahatma Gold® parboiled rice, Mahatma Valencia, or any of our delicious flavored rice mixes are "Grown in the USA". 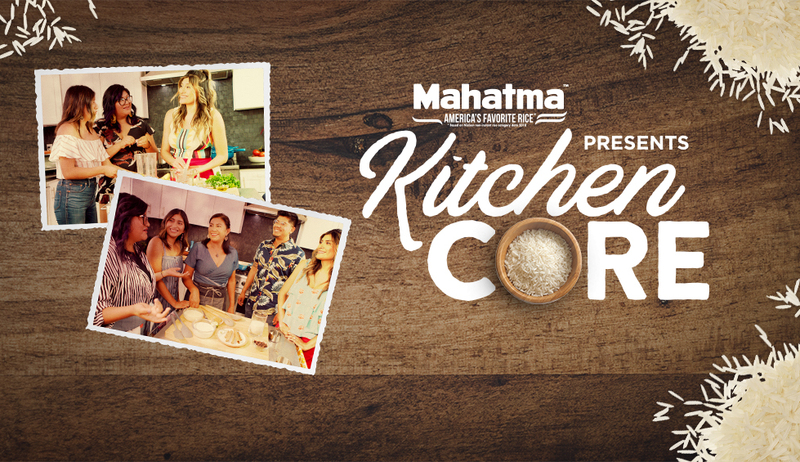 Mahatma Thai Jasmine Rice is imported from the country of Thailand. Cooked jasmine rice is soft, white and fluffy. Imported from India and Pakistan, our premium quality Basmati Rice is grown in the foothills of the Himalayas. Each grain cooks up into a long, slender and fluffy grain.